Detail of the magnificent tomb chest that bears the effigy of Richard Beauchamp, 13th Earl of Warwick in the chapel he founded at St Mary’s, Warwick. This effigy is that of his daughter-in-law, Lady Cecily Neville. Lady Cecily Neville, Duchess of Warwick, Countess of Worcester (c.1425 – 26 July 1450) was the second child and daughter of Sir Richard Neville, 5th Earl of Salisbury and Lady Alice Montacute, suo jure 5th Countess of Salisbury. Her nine siblings included Richard Neville, 16th Earl of Warwick; John Neville, 1st Marquess of Montagu; George Neville, (Archbishop of York and Chancellor of England); Sir Thomas Neville; Lady Joan, Countess of Arundel; Lady Katherine, Baroness Hastings; Lady Alice, Baroness FitzHugh; Lady Eleanor, Countess of Derby; and Lady Margaret, Countess of Oxford. She was most likely named after her paternal aunt, Lady Cecily Neville, later Duchess of York. Her first cousins by the Duchess of York included Anne of York; Edmund, Earl of Rutland; Elizabeth of York; Margaret of York; George Plantagenet, 1st Duke of Clarence; and Kings Edward IV and Richard III. 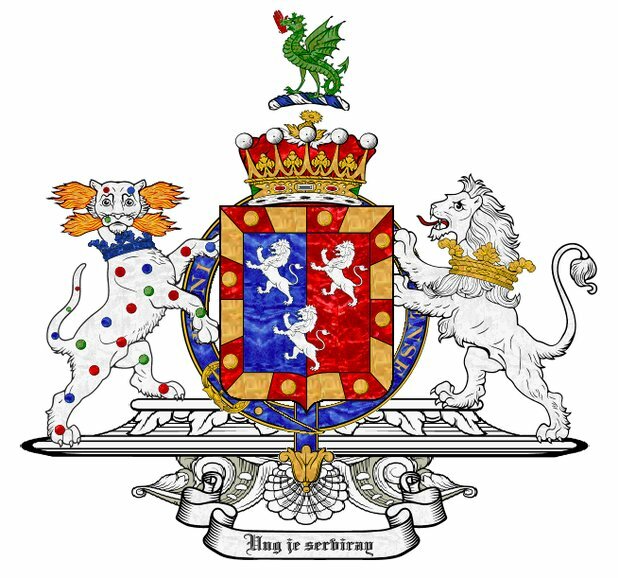 Other cousins included John Mowbray, 3rd Duke of Norfolk; Lord Humphrey Stafford, 7th Earl of Stafford [father of 2nd Duke of Buckingham]; Lady Katherine Stafford, Countess of Shrewsbury [wife of the 3rd Earl]; Henry Percy, 3rd Earl of Northumberland; Ralph, 2nd Earl of Westmorland; George Neville, 4th and 2nd Baron of Abergavenny; Thomas Dacre, 1st Baron Dacre of Gillesland; and Ralph Greystoke, 5th Baron. In 1436, it was decided that Cecily would marry Henry de Beauchamp, Lord Despenser (later 1st Duke of Warwick and King of the Isle of Wight, as well as of Jersey and Guernsey). Henry was the son and heir of son of Richard de Beauchamp, 13th Earl of Warwick and Lady Isabel le Despenser, the sole heiress of Thomas le Despenser, 1st Earl of Gloucester (d.1399) by his wife, Constance of York. At the same time, it was decided that her elder brother, Richard, would marry Beauchamp’s younger sister, Lady Anne. The marriage negotiations were not easy or inexpensive; Salisbury had to promise to pay Warwick a large sum of 4, 700 marks (£3, 233.66). In 1436, the two couples married in a double marriage ceremony. After the death of the Duke of Warwick in 11 June 1446, the Dowager Duchess married to Sir John Tiptoft, 1st Earl of Worcester. They had no children. By the Duke of Warwick, Cecily gave birth to a daughter and their heiress, Lady Anne, who was most likely named after her aunt, who had married Cecily’s brother Richard [later known as “Warwick the Kingmaker”]. 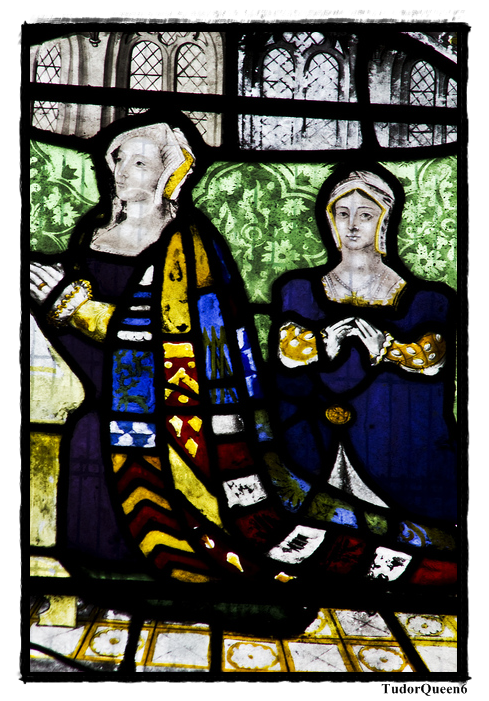 Richard’s wife, Lady Anne, would inherit the Beauchamp fortunes and became Countess of Warwick in “her own right” after the death of her niece in 1449. The advantage of this marriage, which came in the form of Cecily’s husband being created Duke of Warwick on 14 April 1445, was short lived as her husband died on 11 June 1446 and the couple’s only daughter, Lady Anne Beauchamp, was allowed to succeed only as suo jure 15th Countess of Warwick. Upon the death of Cecily’s daughter in 1449, the title was inherited by her paternal aunt, also named Lady Anne Beauchamp. Lady Anne, who had married Cecily’s brother Sir Richard Neville, became suo jure 16th Countess of Warwick thus making Neville jure uxoris 16th Earl of Warwick. There were no objections as the elder half-sisters from the 13th Earl of Warwick’s marriage to his first wife, Elizabeth Berkeley; their husband’s, John Talbot, 1st Earl of Shrewsbury and Edmund Beaufort, 2nd Duke of Somerset, were off defending Normandy. The third half-sister had been married to George Neville, 1st Baron Latimer who had been declared insane and his brother Salisbury already possessed his lands. The three sisters had to settle for nine manors, while the Despenser lands were preserved for George Neville, later 4th Baron Bergavenny, the heir of the 16th Countess of Warwick’s maternal sister, Lady Elizabeth Beauchamp, suo jure Baroness Bergavenny. Cecily and her second husband, the Earl of Worcester, however had custody of the land up until two months before Cecily died in July 1540. Upon that time, the lands were handed over to Cecily’s brother, Warwick. However in 1457, when Bergavenny became of age — the rights were ignored and Warwick’s wife, Anne, became the sole heiress of her mother’s inheritance in the first parliament of Edward IV in 1461. 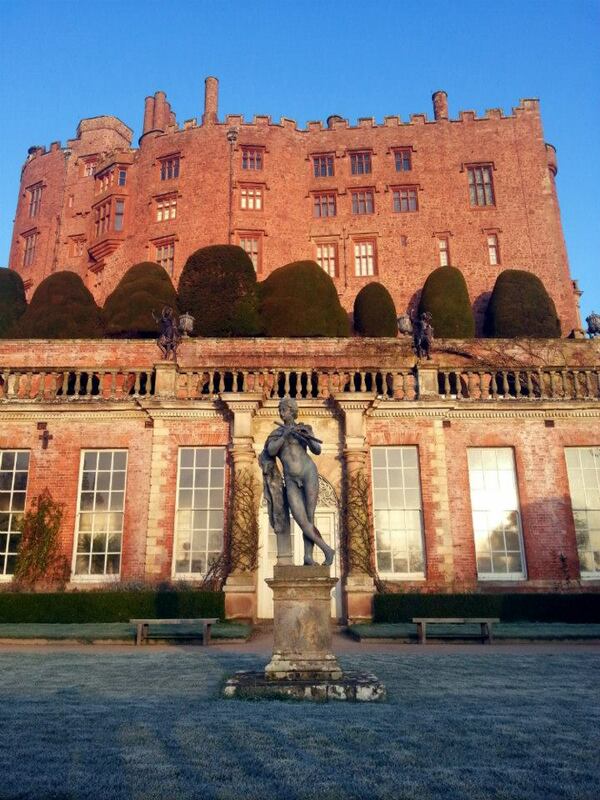 Both Warwick and Bergavenny were cousins to the King, however Warwick was the older brother of Bergavenny’s father. Warwick’s wife was also the daughter of the 13th Earl of Warwick, who was senior to his cousin, Richard Beauchamp, 1st Earl of Worcester — first husband of Lady Isabel le Despenser. Richard Neville, Earl of Warwick was a supporter of the House of York as cousin to the King and his siblings. 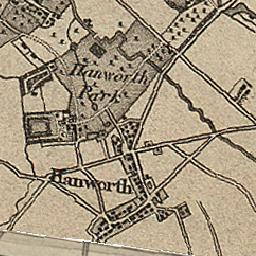 However, at the Battle of Barnet, Warwick and his brother-in-law, Oxford, both sided with the Lancastrian King. Warwick’s allegiance to the House of York was damaged after Edward IV married the Lancastrian widow, Lady Elizabeth Grey [born Woodville]. As Lady Elizabeth’s large family followed her to court, so did the titles, marriages, and grants. The Woodvilles were of common descent, but their fortunes improved when a Woodville squire married the Dowager Duchess of Bedford [widow of John of Lancaster, son of Henry IV]. The marriage was not favored by the nobles at court and the favors granted to the Woodvilles did not stop–in that, the nobility became extremely frustrated and resentful. Warwick rebelled and paid the price with his life. His only children were two daughters. Warwick had no male heir. However, his two daughters both married a brother of King Edward IV and became Royal Duchesses. 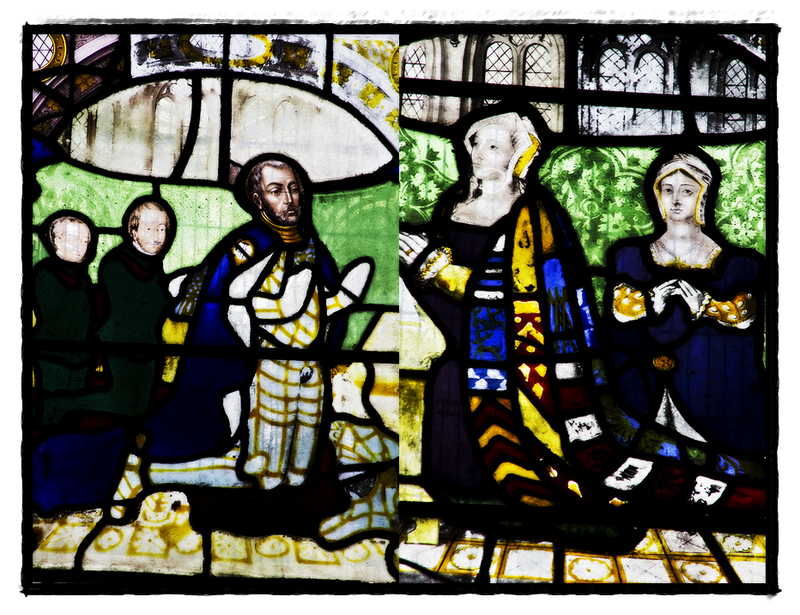 After the Battle of Barnet, Warwick’s wife Anne [the holder of the title Countess of Warwick and inheritance], forfeited her right to all of her inheritance due to being the wife of the traitor, Warwick. The inheritance was eventually divided between Warwick’s eldest daughter, Isabel, the Duchess of Clarence and Anne, who would become the Duchess of Gloucester [later queen consort]. The Duke of Clarence forfeited his right to any of the inheritance after his execution [his wife was already dead]. Their son, Edward, was imprisoned in The Tower and was executed by order of Henry VII in 1499. An ironic twist to the history of this Abbey came during the reign of the Tudor King Edward VI; the Manor of Tewkesbury, a possession of the Beauchamps, was granted to Lord Seymour of Sudeley. Sudeley was non other than the husband of the Dowager Queen Katherine Parr. Parr, herself, was a descendant of Warwick’s sister, Lady Alice; her paternal great-grandmother. 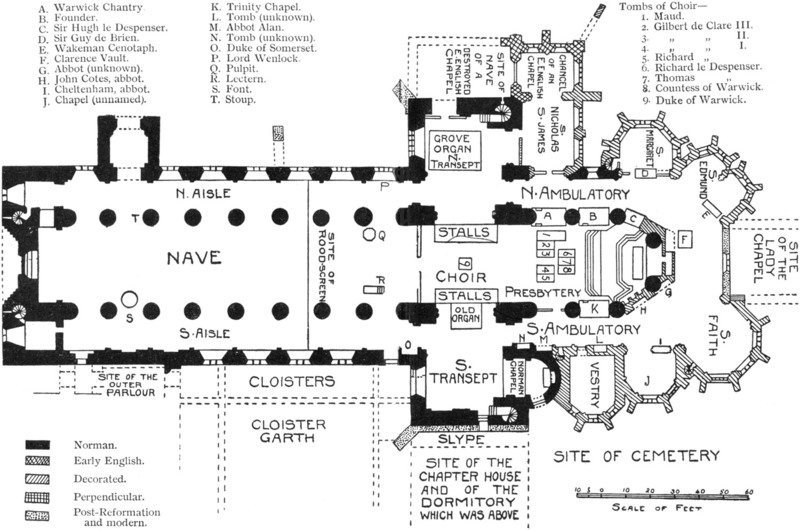 A map of Tewksbury Abbey. 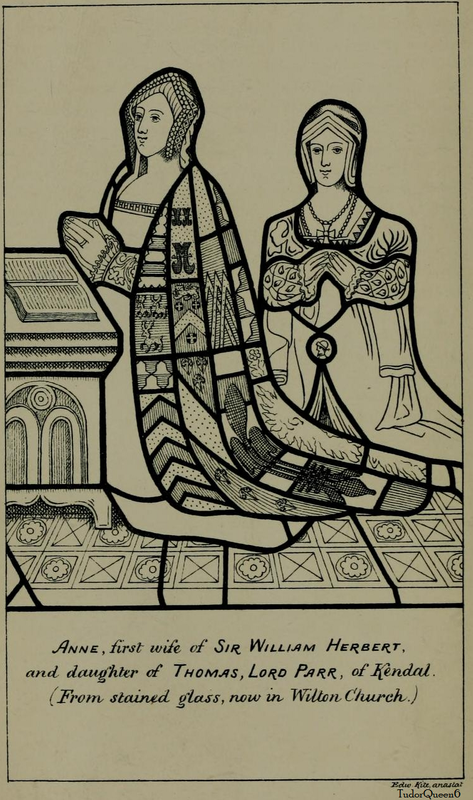 Lady Cecily, the Dowager Duchess of Warwick and Countess of Worcester died on 26 July 1450. 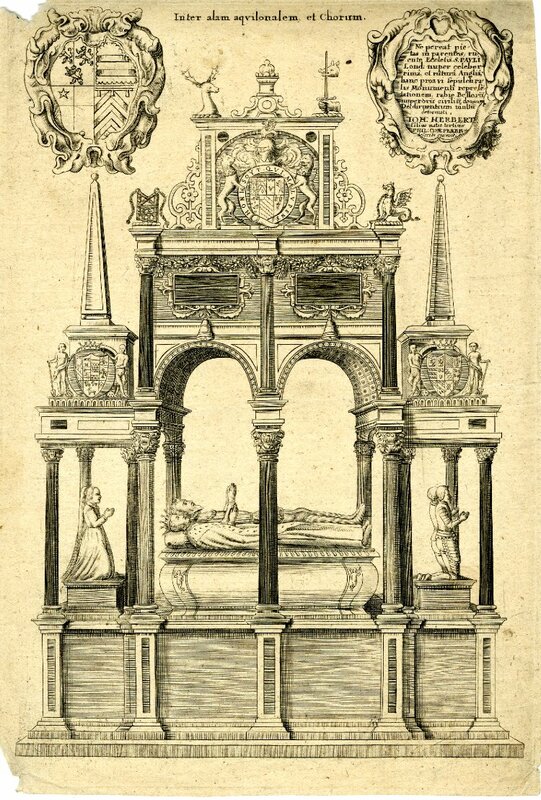 She was buried with her first husband, the Duke of Warwick, at Tewkesbury Abbey; with no monument. 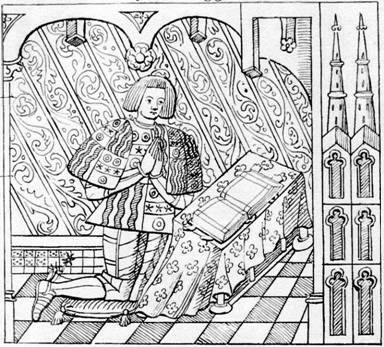 Warwick was buried at his own request between the stalls in the choir upon his death in 1446. At the time the choir was repaved in 1875, a grave of stone filled with rubble was found together with some bones of a man of herculean size. These, no doubt, were those of the Duke who was buried here. The large marble slab that formerly covered the grave disappeared early in this century but the brasses that were originally in it had been taken away long before, Cecily, the Dowager Duchess of Warwick was buried in the same place on 31 July 1450. Beauchamp Chapel, Warwick. Also buried near this monument is Katherine Parr’s brother, the Marquess of Northampton whose funeral and burial was paid for by Elizabeth I. The 1448 contract for making this tomb survives: it indicates that it is not a portrait and refers to the following who were involved in its making: John Bourde of Corfe supplied the Purbeck Marble, William Austen of London cast the metal, John Massingham, carver, made the model, Bartholomew Lambespring, goldsmith, polished and gilded the effigy; one Roger Webb is also referred to in this contract but it is not known what his role was in the construction. A separate contract of the following year with William Austen to cast the effigy. 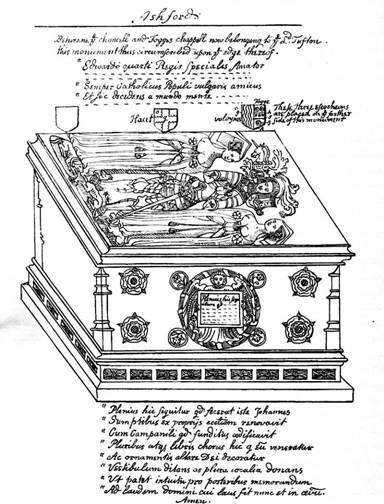 A third contract of 1453 is for brass plates for the lid, sides and the hearse; in this contract John Essex of London, marbler and Thomas Stevyns of London, coppersmith, also appear with William Austen. 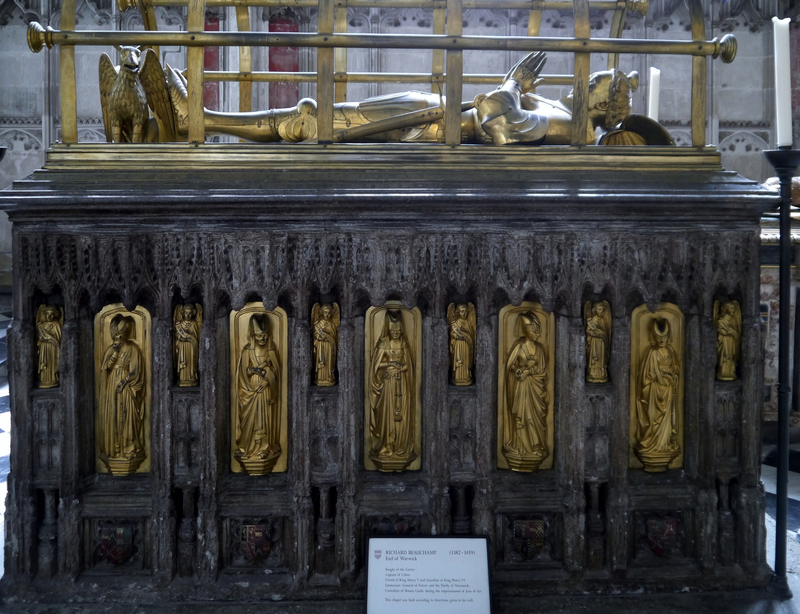 Cast gilt bronze effigy in armour on a Purbeck marble tomb chest. The Earl’s hands are held in a curious separated position. Head on helmet with crest of a swan and his feet on both a bear and griffin. The details of the armour are very fine. Charles Stothard lifted the effigy down from the tomb chest to draw its dorsal surface where the armour is again shown in very fine detail. Over the whole is a hooped framework – the ‘hearse’ referred to above; this would have supported a fabric cover and only be removed when masses were said for his soul. Around the tomb chest are gilt bronze ‘mourners’ – seven male and seven female. The mourners include the 13th Earl’s children and in-laws. They include [among others] his son Henry who became Duke of Warwick, his daughter-in-law Duchess Cecily [daughter of the 5th Earl of Salisbury], the 5th Earl and Countess of Salisbury [Richard Neville and Lady Alice Montacute], his daughter Lady Anne [sister of the Duke] and her husband Richard Neville [brother of Duchess Cecily], who inherited the Beauchamp estates to become Earl and Countess of Warwick. Richard Beauchamp fought with Henry IV and Henry V and was guardian of the infant Henry VI. At the time of his death he was Governor of Normandy. Henri Jean Louis Joseph Massé. “The Abbey Church of Tewkesbury:with some account of the Priory Church of Deerhurst, Gloucestershire,” G. Bell. 1906. pg 79. David Baldwin. “The Kingmaker’s Sisters: Six Powerful Women in the Wars of the Roses,” The History Press; First Edition edition, 1 August 2009. Michael Hicks. “Warwick, the Kingmaker,” John Wiley & Sons, 15 April 2008. pg 47. G.E. Cokayne; with Vicary Gibbs, H.A. Doubleday, Geoffrey H. White, Duncan Warrand and Lord Howard de Walden, editors, The Complete Peerage of England, Scotland, Ireland, Great Britain and the United Kingdom, Extant, Extinct or Dormant, new ed., 13 volumes in 14 (1910-1959; reprint in 6 volumes, Gloucester, U.K.: Alan Sutton Publishing, 2000), volume XII/2, page 845. Anne MacGee Morganstern, John A. A. Goodall. “Gothic Tombs of Kinship in France, the Low Countries, and England,” Penn State Press, Jan 1, 2000. pg 137. Aidan McRae Thomson. Beauchamp Tomb: Duchess Cecily of Warwick, 20 June 2008. 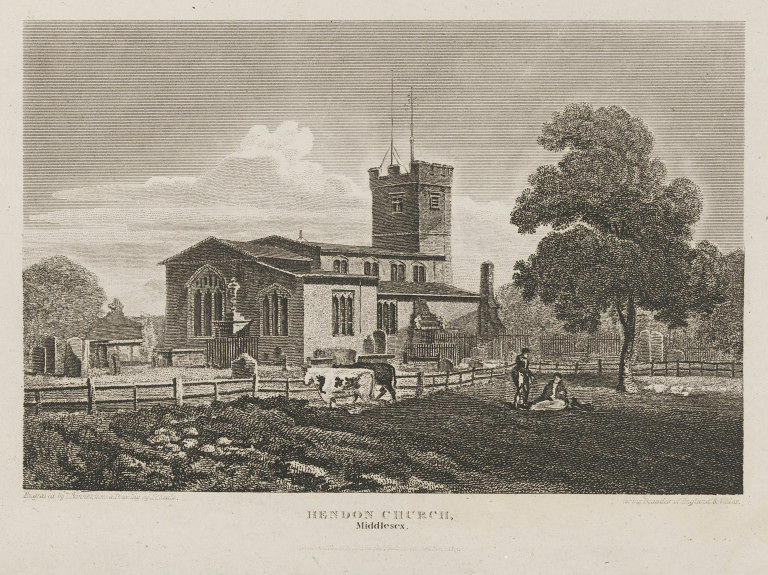 “A description of the Collegiate Church and choir of St. Mary, Warwick & Beauchamp Chapel,” 1841. pg 20. 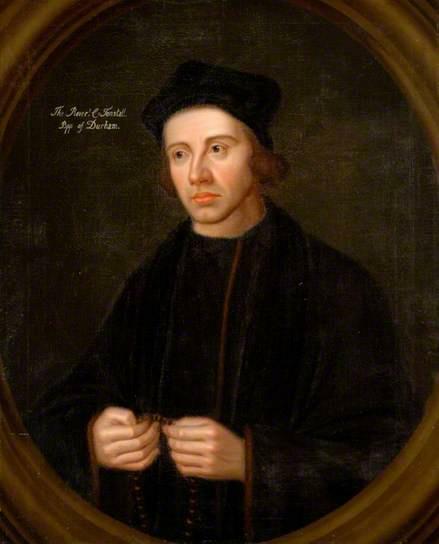 Cuthbert Tunstall (c. 1474/5 Hatchford, Richmondshire, England – 18 November 1559 Lambeth Palace, London, England) was an English church leader during the reign of four Tudor monarchs. Through out his lengthy career he was Bishop of Durham, Bishop of London, Archdeacon of Chester, Lord Privy Seal, Royal adviser, and a diplomat. He was “lucky” enough to have served as Bishop of Durham [among other offices] and actually survive the reigns of three Tudor monarchs; King Henry VIII, Edward VI [Protestant], Mary I [Catholic]. Under the Protestant Queen Elizabeth I, Tunstall would be arrested in 1559 after refusing to take the Oath of Supremacy and die under house arrest at Lambeth Palace [home to the Archbishops of Canterbury]. Tunstall was illegitimate at birth, although his parents later married and the irregular circumstances of his background were never held against him. He was the son of Sir Thomas Tunstall, one of two sons of Sir Thomas of Thurland. 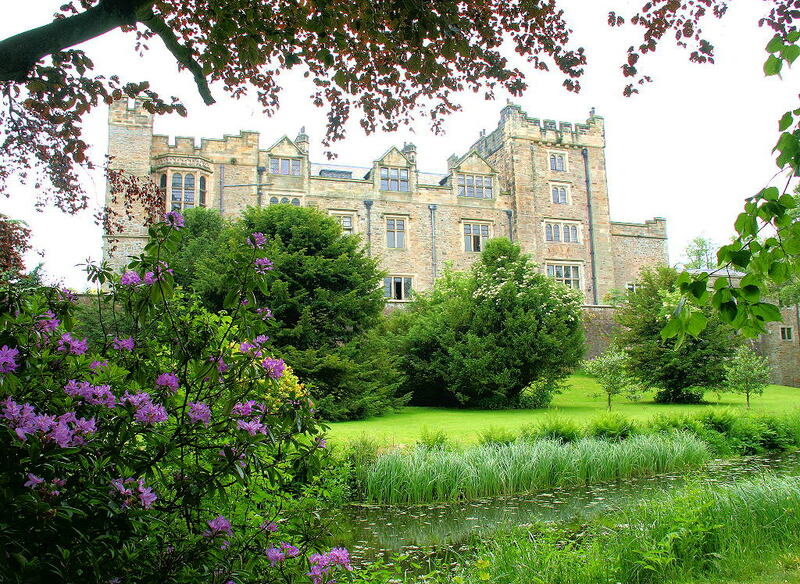 Sharing a great-great-grandfather, Sir Thomas of Thurland Castle [Tunstall’s grandfather], Tunstall was a first cousin, twice removed on his father’s side to Queen Katherine Parr and her siblings Lady Anne Herbert and Sir William, 1st Marquess of Northampton. Tunstall was appointed as the executor of Sir Thomas Parr’s will. After his death, Tunstall continued to stay close to the Parr family. Tunstall advised Lady Maud Parr on the education of her children; especially that of her daughters. Maud named Tunstall as one of the executors of her will as well. Tunstall was an outstanding scholar and mathematician, he had been educated in England, spending time at both Oxford and Cambridge, before a six year spell at the University of Padua in Italy, from which he received two degrees. His Church career began in 1505, after he returned to England. He was ordained four years later. At the time of his ordination four years later he had caught the attention of the Archbishop of Canterbury, William Warham, who sponsored Tunstall’s advancement and brought him to court. Tunstall was also a close to Wolsey, who recognized his potential to serve his country and diplomacy. 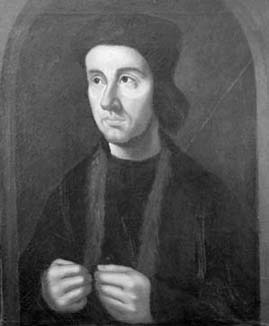 Cuthbert Tunstall [a portrait painted before the Reformation showed him with a rosary. It was obviously painted over]. Tunstall was close to all the great names of English humanism in the early sixteenth century, especially Sir Thomas More. The European humanist Erasmus greatly admired Tunstall’s modesty, scholarship, and charm. Tunstall helped Erasmus in his publishing. 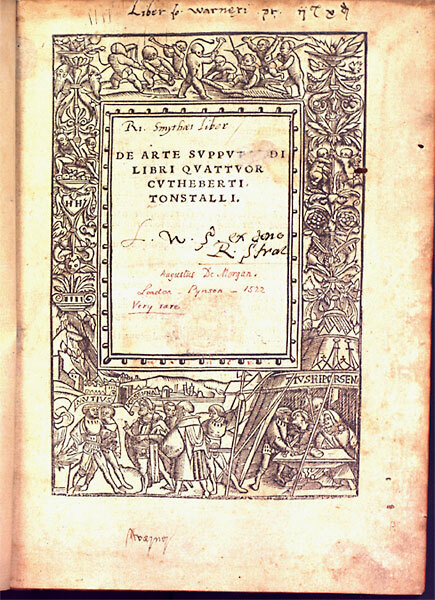 Tunstall was a great publisher of many books including De arte supputandi libri quattuor (1522), which enhanced his reputation among the leading thinkers of Europe. 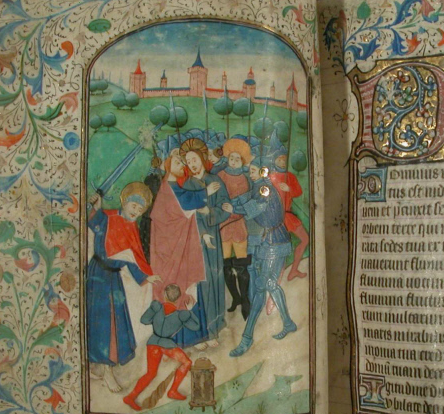 This book would be used later by Mary Tudor and his cousin Catherine Parr as queen. Like More, Tunstall was on intimate terms with King Henry VIII. During the King’s ‘Great Matter‘, Tunstall defended Queen Katherine of Aragon, but not with the vigour or absolute conviction of Bishop Fisher. Tunstall had been bold enough to tell Henry that he could not be Head of the Church in spiritual matters and he may have been one of the four bishops of the northern convocation who voted against the divorce, but he recognized that the queen’s cause was hopeless and never attempted opposition to the King. In fact, he attended Anne Boleyn’s coronation. But Tunstall felt he could not keep quiet, he wrote a letter personally to Henry about the rejection of Christendom, and other matters that bothered him. Henry disagreed and refuted every point Tunstall made. These exchanges led to a search of Tunstall’s home by order of the King, but no incriminating evidence was found. Rumor was that Sir Thomas More warned Tunstall in time to dispose of anything that might incriminate him. 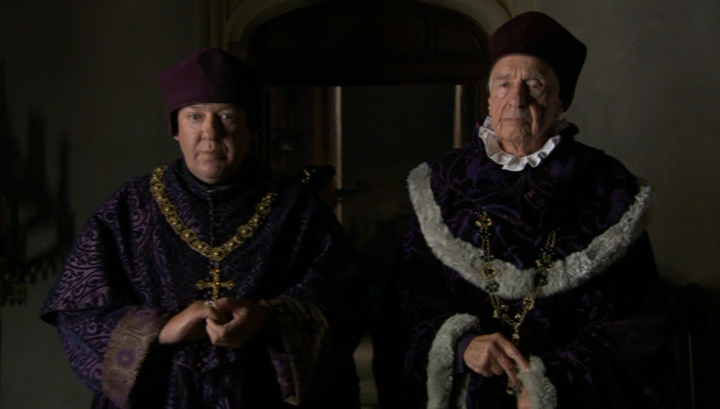 Bishop Cuthbert Tunstall [right] portrayed by Gordon Sterne confronts Katherine of Aragon in “The Tudors“. Tunstall agreed to take the oath, unlike More and Fisher. He and Archbishop Lee of York were required to explain to the imperial ambassador, Eustace Chapuys, and subsequently the very angry Katherine of Aragon the justification for the annulment of her marriage. They did not succeed in getting her to agree or acknowledge the fact that she was no longer queen. After the ‘great matter’ was resolved, Tunstall turned his loyalty back to the King. Tunstall was an executor of King Henry VIII’s will. Tunstall would go on to serve in the reigns of Edward VI, Mary I, and Elizabeth I.
Lambeth Palace, London. The oldest parts of the present buildings date from the 1400’s. 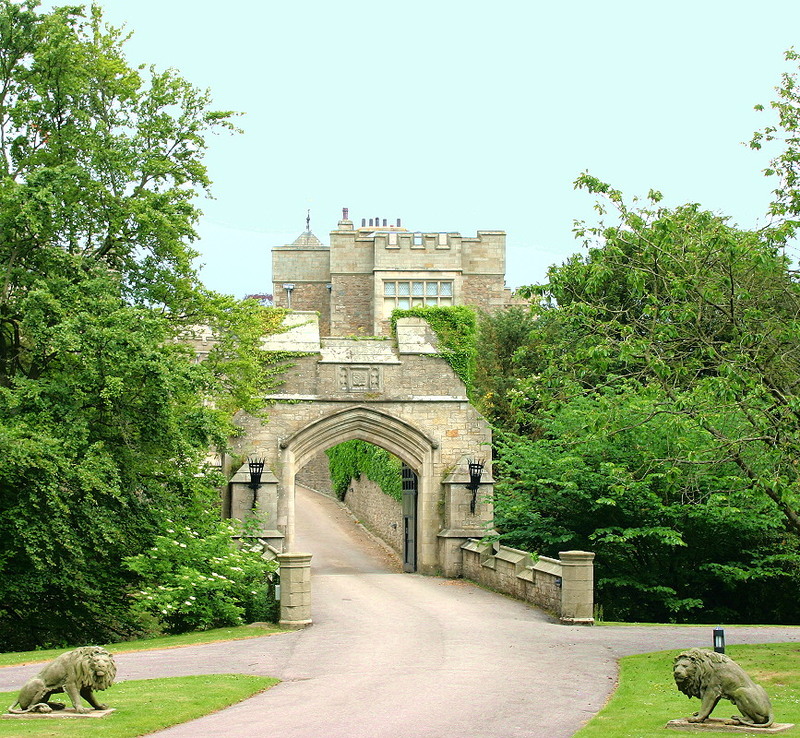 The most obvious external feature is the gatehouse which is framed on either side by two towers, built by in tudor brick by Archbishop Morton in 1495. This is consequently known as Morton’s Tower. It was during Elizabeth’s reign that Tunstall refused to take Elizabeth’s Oath of Supremacy and was subsequently arrested. Even though he had been Elizabeth’s godfather, he was deprived of his diocese in September 1559, and held prisoner at Lambeth Palace, where he died within a few weeks, aged 85. He was one of eleven Catholic bishops to die in custody during Elizabeth’s reign. He was buried in the chancel of Lambeth church under the expense of the Archbishop that had overseen his confinement, Parker. De Morgan in his Arithmetical Books was laudatory about Tunstall: “This book is decidedly the most classical which was ever written on the subject in Latin, both in purity of style and goodness of matter. The author had read every thing on the subject, in every language which he knew … and had spent much time, he says, ad ursi exemplum, in licking what he found into shape. … For plain common sense, well expressed, and learning most visible in the habits it had formed, Tonstall’s book has been rarely surpassed, and never in the subject of which it treats”. As hinted by De Morgan, Tunstall’s work is not original, but a confessed compilation. Tunstall‘s motivation for writing it was a suspicion that that the accounts goldsmiths with whom he was dealing were incorrect; he renewed his study of arithmetic in order to check their figures. His work was the first printed in Great Britain to be devoted wholly to mathematics. Copy of Tunstall’s book from Lehigh University. In Durham Castle, Tunstall constructed a Chapel in 1540. For more info: Tunstall Chapel. William Fordyce. 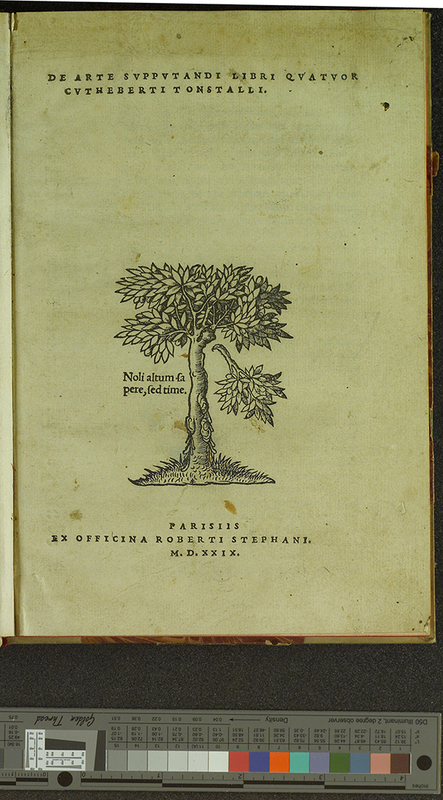 “The history and antiquities of the county palatine of Durham:comprising a condensed account of its natural, civil, and ecclesiastical history, from the earliest period to the present time; its boundaries, ancient, parishes, and recently formed parochial districts and chapelries, and parliamentary and municipal divisions; its agriculture, mineral products, manufactures, shipping, docks, railways, and general commerce; its public buildings, churches, chapels, parochial registers, landed gentry, heraldic visitations, local biography, schools, charities, sanitary reports, population, &c,” Volume 1, A. Fullarton and co., 1857. Google eBook. Edward Foss. “The Judges of England: With Sketches of Their Lives, and Miscellaneous Notices Connected with the Courts at Westminster, from the Time of the Conquest,” Volume 5, Longman, Brown, Green, and Longmans, 1857. pg 237-40. Katherine Parr. “Katherine Parr: Complete Works and Correspondence,” editor Janel Mueller, University of Chicago Press, Jun 30, 2011. Linda Porter. “Katherine, the Queen,” Macmillian, 2010.